How much money do you need, and where do you get it? Don’t read too much into the “where do you get it” part. We will assume that you have enough money in a bank account to be able to afford foreign travel. As foreign travel goes, the Camino can be quite inexpensive, but the actual cost varies, based on certain choices you make. At this writing, air travel from the eastern U.S. to Madrid averages about $1,000 for a round trip ticket. Once you arrive, of course, you will be using euros instead of dollars, and over our five Caminos the value of one euro has bounced around in the $1.25 to $1.45 range. Plan on spending €50 ($75) each for train tickets to your starting city and from your ending location. Bus fare may be a bit less expensive. On the websites we list you can learn the costs for a train or bus ticket and you can buy them online if you want. 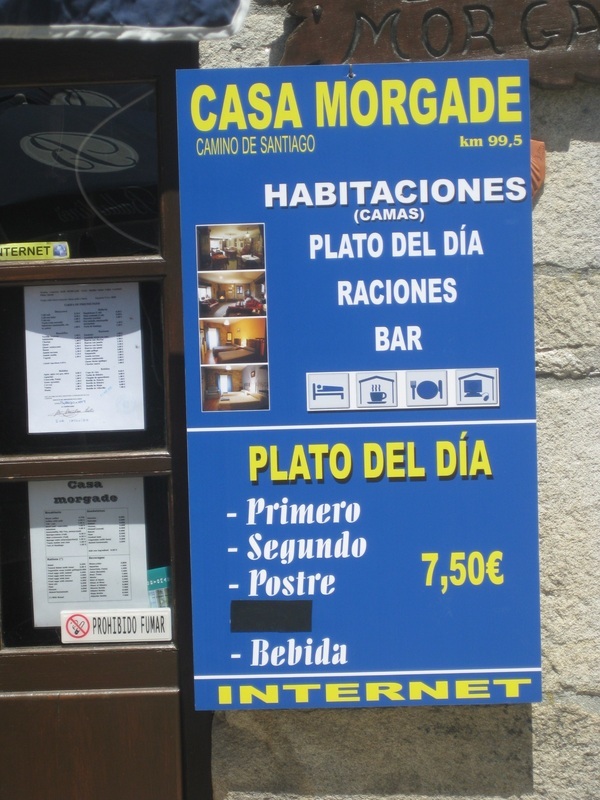 Lodging can cost anywhere from €5 to €100 per night depending of the kind of accommodations selected. If you don’t plan on opting for too much luxury, figure €20 per day per person as a reasonable average. You will likely need to spend more for a hotel the night before your return flight from Madrid. Menus peregrinos (Pilgrim dinners) average about €12, and you’ll want a few more euros for coffee and snacks along the way. Adding all those up, you’ll likely need about €30-40 per day per person when you are actually walking on the trail. If you’ll be walking for 30 days, and counting all your expenses including airfare and in-country transportation, you would need about $2,500-3,000. That is not small change, but only a fraction of what would be needed for a guided tour of equal duration. By the way, don’t plan on using a credit card for most purchases. Larger hotels will probably take them, but for most daily expenses you'll need cash. You need euros, and you must decide how you will get them. You surely don’t want to get them from a bank in the U.S., and carry €2,000 around with you. There really is no reasonable choice except to use a debit card. 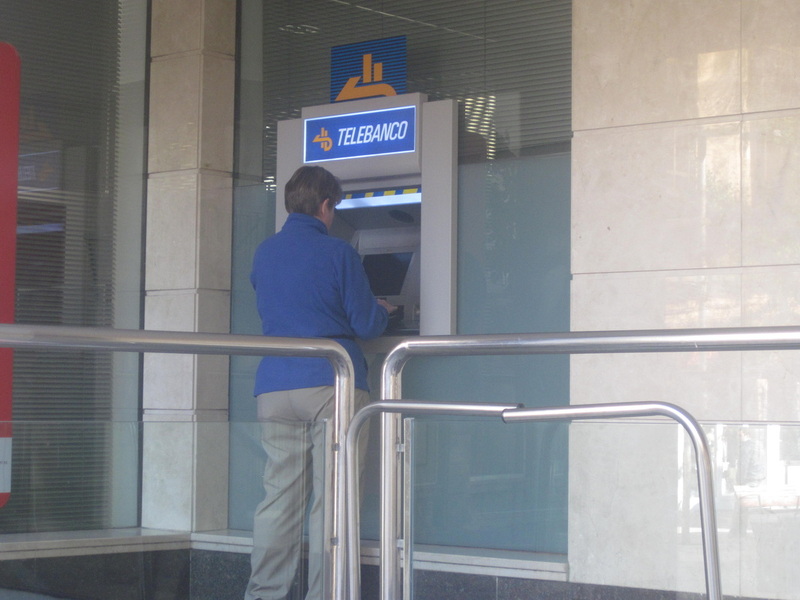 ATMs are everywhere, and you can use your debit card to withdraw funds from your U.S. bank account as euros. Most banks have daily withdrawal limits of $500, or about €300. There will be one or more fees tacked on, but the exchange rates will be better than you are likely to get anywhere else. Your bank is worried about you getting ripped off, and a charge coming in from Spain is likely to trigger some alarms. You need to inform the banks when and where you will be traveling so the information can be put in their computers. This must be done before you leave by calling one of the numbers on the back of your debit card. We found that our credit union charged us fewer fees than our bank, but the credit union was less prepared to deal with foreign transactions. We had to go in and fill out special forms on site. Just to be safe, it is good to have debit cards from more than one institution with you. 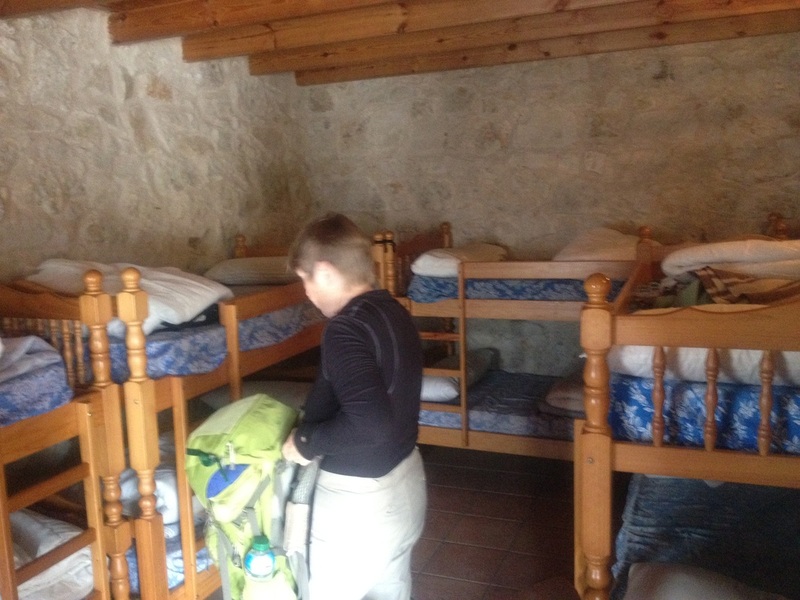 Choices of lodgings on the Camino cover the gamut, from barrack-like albergues, where you might stay in a room with as many as 100 places in bunk beds, to state-run super-luxurious paradores. In between are all levels of comfort and convenience and, of course, cost. 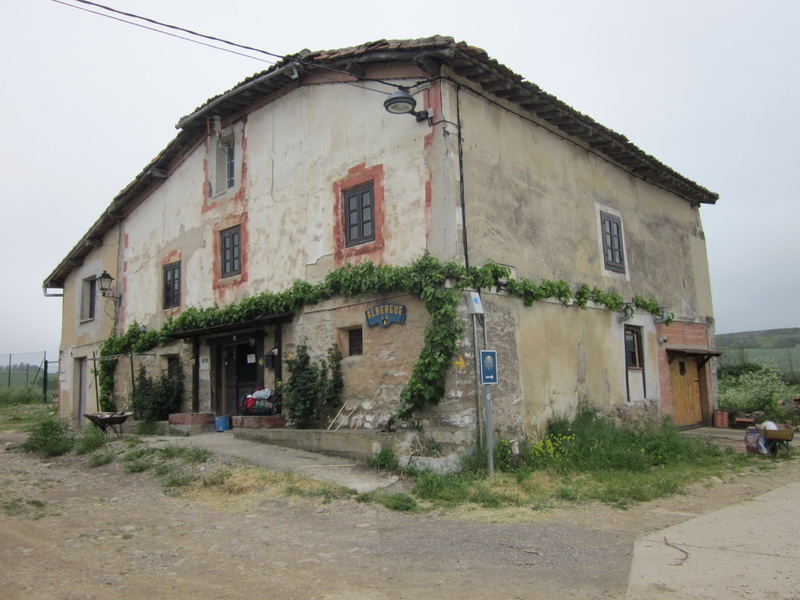 Many hikers favor albergues because they are inexpensive and because their usual close quarters foster a sense of community. Many are donativo—you pay according to your means—while others charge €10 or even less. Many casas rurales are nice, and the privacy and quiet they offer may provide a welcome break from crowded and noisy albergues. One important disadvantage of albergues is that most are available on a first-come-first-served basis, and the one you are aiming for may be completo—filled up—by the time you arrive. To deal with this problem, some hikers begin walking before daybreak and rush to the next albergue in order to arrive early and claim a place. 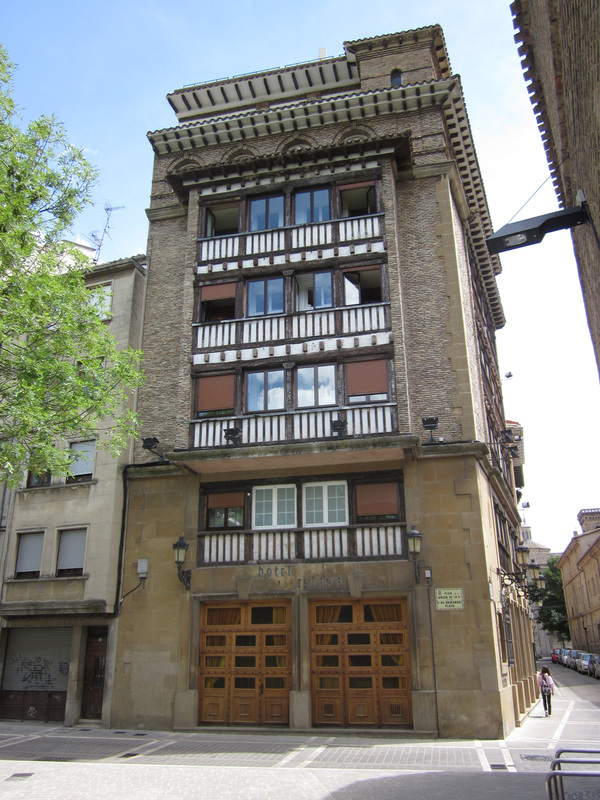 Most of the other kinds of lodgings and some private albergues do accept reservations, allowing one to call ahead and enjoy more leisurely walking. 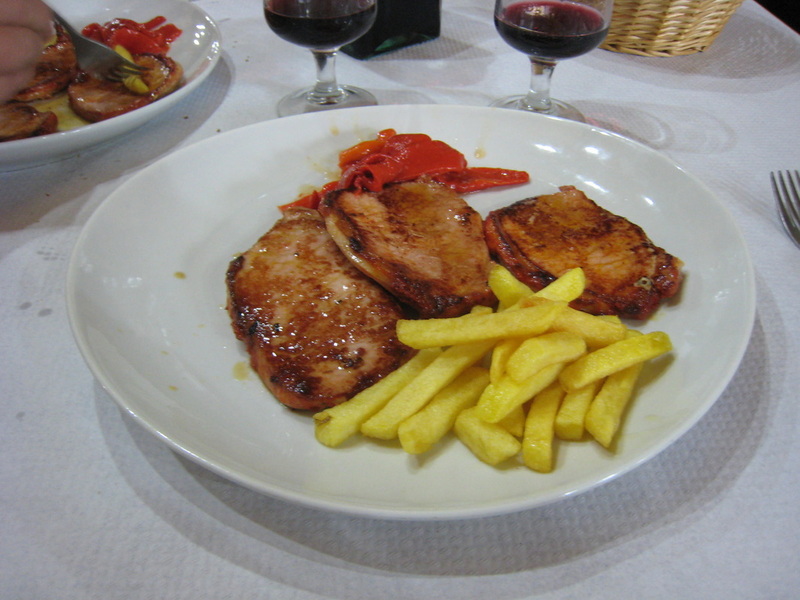 Most restaurants in Spain open for dinner quite late—often not until 9 o’clock. This effectively puts them out of reach of hikers on the Camino, who may begin walking in the early morning and have arrived at their destinations by early- to mid-afternoon. 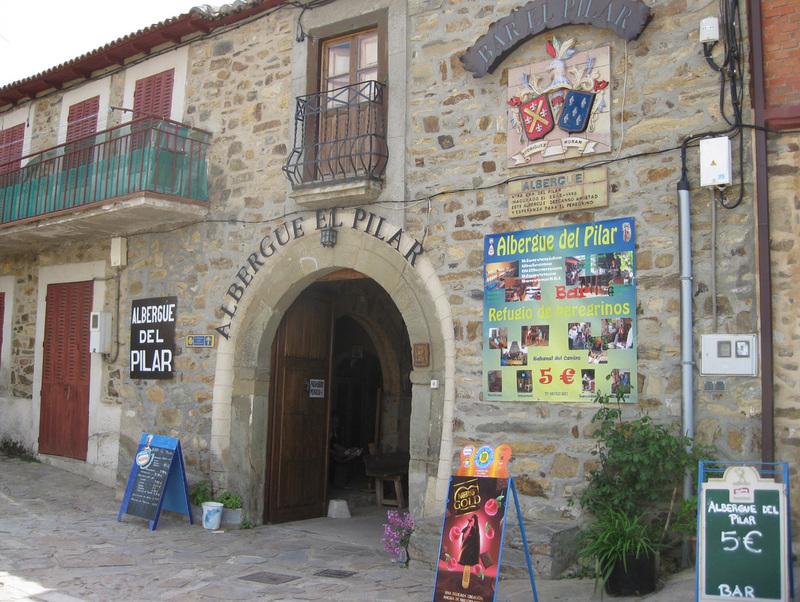 Menus peregrinos—pilgrim dinners—on the other hand are served earlier and normally include complete meals at a fixed price, including wine or water (your choice), salad, and dessert. We have found them more than adequate for a main meal, and usually less than inspiring. They offer some little variety, but invariably include fried potatoes. Vegetarian options are few. Light breakfasts are sometimes offered in lodgings, but we have normally opted to begin walking early and stopping along the trail for café con leche—espresso with milk—and tortilla española—a slice of a potato omelet. Occasional opportunities to sample distinctive local cuisine present themselves, and these shouldn’t be passed up. 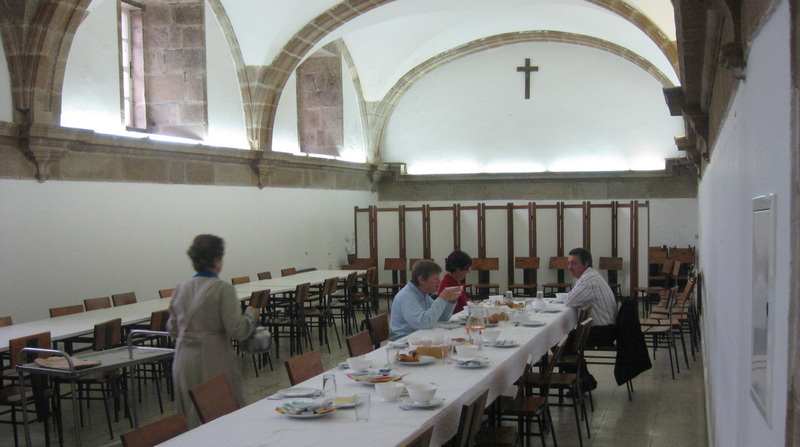 Many casas rurales serve pilgrim meals. Prices may have gone up since 2009. Don’t expect people along the way to understand English. 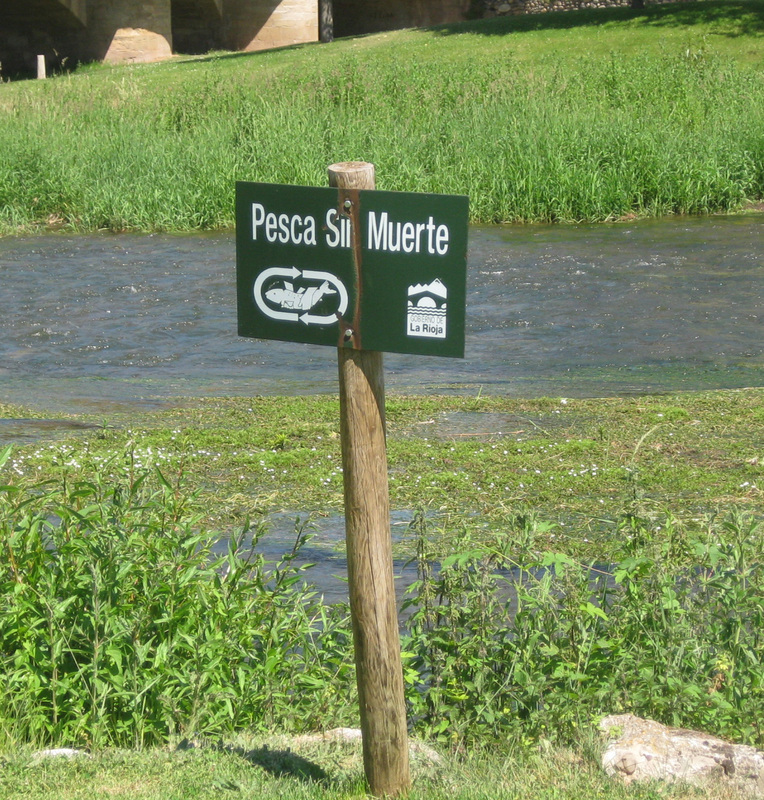 That said, lack of Spanish should not prevent one from attempting the Camino. The world of travel has its own simple language, and waiters, desk clerks, and others used to dealing with foreigners can usually understand and make themselves understood. 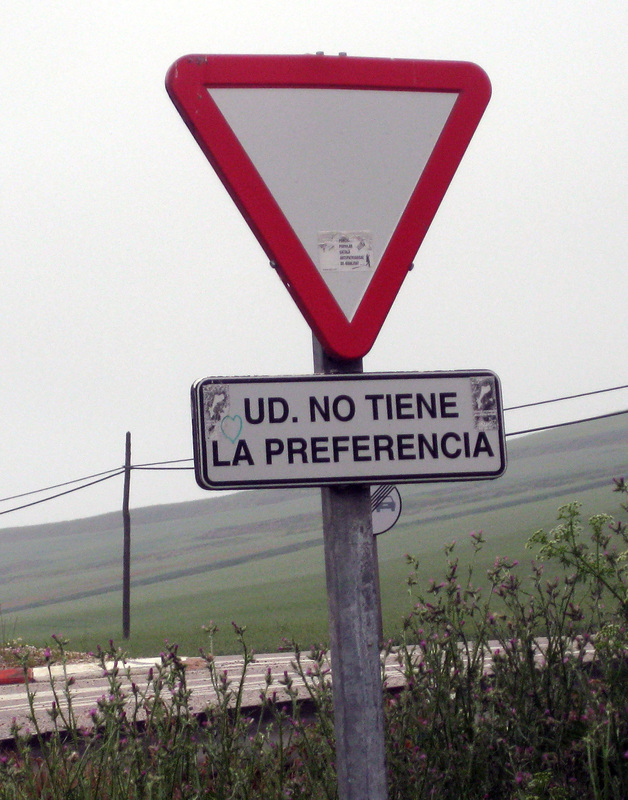 The more Spanish you have, the better, but we have met more than a few hikers on the Camino who had little or no facility in Spanish. Many of your fellow hikers who are Europeans will have learned English from elementary school onward, and will be very good at it. You might notice a German and Italian conversing in English because they can’t speak each other’s language, but are comfortable in their shared second language. If you would like to learn a bit of Spanish or brush up on what you have, we can recommend Speed Spanish, an online course offered through many community colleges. Also, the complete series of the PBS instructional Spanish language program Destinos is available online. As with getting by, the language barrier should not prevent one from enjoying other people. It is surprising how easy it is to communicate with others if you have the will and the courage to try. For our first three Caminos we brought along pocket-size English-Spanish dictionaries. They are a bit cumbersome, and the print is usually small. If one is trying to purchase something in a dimly lit store, and doesn’t know the Spanish word for it, using the dictionary is difficult. For our more recent Caminos we used a dictionary application for our smart phones. These are much more convenient than the little paper dictionaries, but one must either be in a WiFi zone or have an expensive cellphone data plan in order to use them via 3G wireless. Questions, comments, or experiences to share? Write on our Blog.